From time to time a ballot is held to decide which members' bills will be considered by the House of Representatives. Numbered tokens are drawn from a container – in 2012 this was a repurposed biscuit barrel. 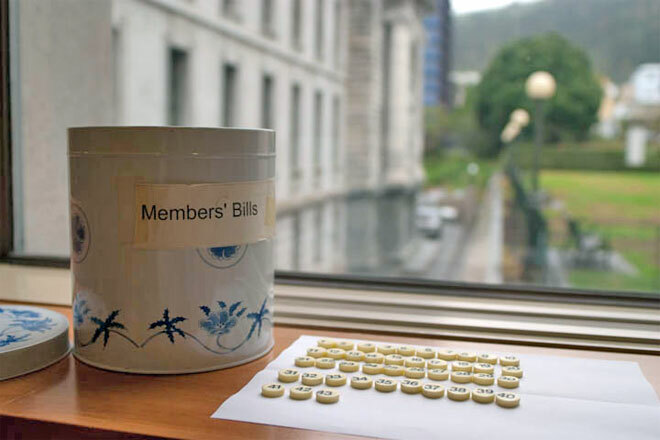 Only one or two places are available for members' bills, and there are often more than 40 in the ballot.